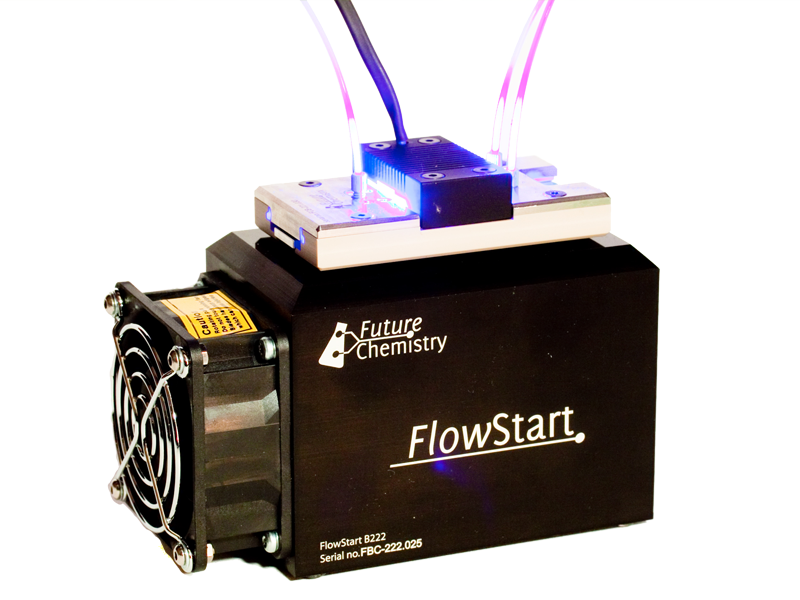 Photochemistry in continuous flow offers multiple advantages over its batch-wise analogue. Photochemical reactions are driven by the amount of photons being able to reach reactive molecules causing the activation and thus the desired reaction. In order to enhance reaction rate, the area of the reactor being reached by the light source can be increased. Using a microreactor, this can be achieved in a convenient way. 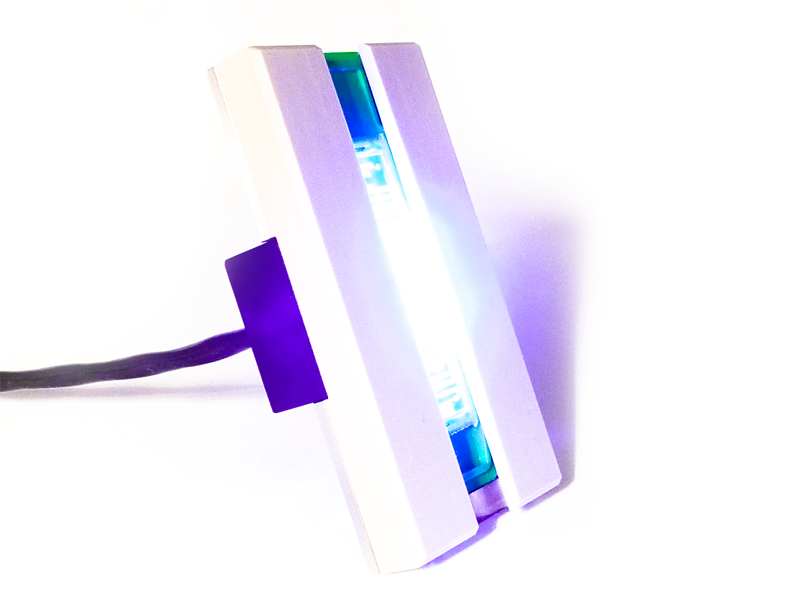 We offer different solutions for different wavelengths: for wavelengths down to 365 nm, LED light sources can be used. For lower wavelengths, no LED lightsources are available which are powerful enough, so for those applications conventional mercury lamp set ups are available. This application note describes an application of the Photochemistry module.